Homewood Chapter 7 Lawyer | Johnson & Johnson, Ltd. Skilled Homewood chapter 7 lawyer. Money problems can take their toll on your emotions and can make life stressful for you and your family. There are answers. Sometimes, the best solution is to file for bankruptcy. Bankruptcy has some very significant benefits and for some people it is the best option to improve their financial situation. A Homewood chapter 7 lawyer will evaluate your situation and recommend how to proceed. The experienced attorneys at Johnson & Johnson, Ltd. have expertise in bankruptcy law and will guide you through the process to financial freedom. There are two main types of bankruptcy available to individuals. These are chapter 7 bankruptcy and chapter 13 bankruptcy. Chapter 7 is the most common type of bankruptcy and provides a fresh start. It provides a way to remove debt and begin to rebuild your credit. Chapter 7 bankruptcy is designed for those who are unemployed or have insufficient income to satisfy their debts. The first step is to have a qualified Homewood chapter 7 lawyer review your case to determine the best way to proceed. If bankruptcy is the best option, your lawyer will assist you through the process every step of the way. 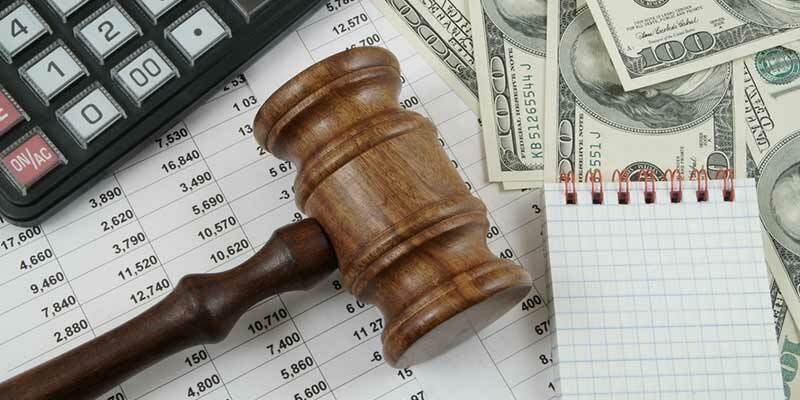 A reputable Homewood chapter 7 lawyer knows the current bankruptcy laws and will be able to provide you with options that are available to you. Remember that bankruptcy is not failure. Instead, it is a way to start over. In chapter 7 bankruptcy, assets may be sold to make payment on unsecured debt. Some examples of unsecured debt include credit cards, medical bills, vehicle repossession, and foreclosure judgments. Most current debt will be eliminated utilizing the assets you already own. A Homewood chapter 7 lawyer knows the best options for you, based on your own unique set of circumstances. While a bankruptcy will not always erase all of your debts, it can make an immediate improvement in your finances and pave the way for future financial success. The decision to file for chapter 7 is an important one and it should be made with the help of a skilled Homewood chapter 7 bankruptcy lawyer. Together, you and your attorney will review your financial status including assets and debts, to determine the options that are available to you. A chapter 7 bankruptcy can provide you with immediate relief of your money troubles and impact your current and future finances. While it is possible to file for bankruptcy without a Homewood chapter 7 lawyer, it is not recommended. There are many complexities to the process and long-term consequences that need to be considered before filing for bankruptcy. The knowledgeable attorneys at Johnson & Johnson, Ltd. are skilled in providing reliable and compassionate guidance for those with financial problems. Contact our office today to schedule a consultation to review your situation and get answer your bankruptcy questions.